The crisis in Spain and in Europe generally has affected many aspects of everyday life for us all. One of the problems that has increased in these dire financial times is crime. Robberies of businesses and private homes is on the increase and desperate thieves are going to any lengths to steal property to sell. Keeping your business and more importantly your home safe from these thieves has never been more important and there are several ways in which you can do this. *Perform a FREE security check on your home: Have a professional assess your home for security weak spots and advise on how to better secure your home or business. 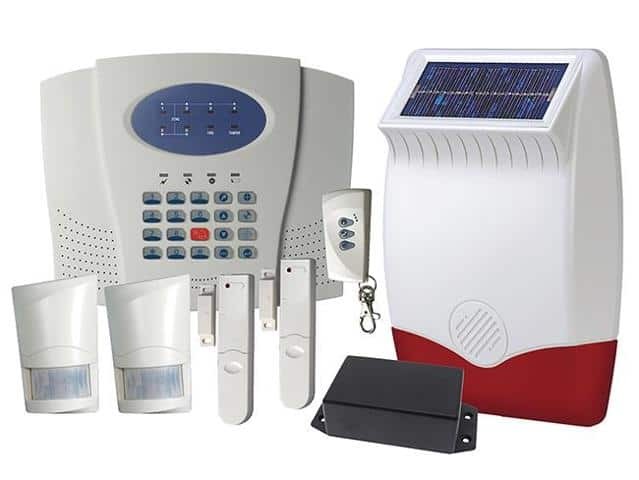 *Fit a burglar alarm: Just having an alarm box on the outside of your home or business can be a deterrent but a properly fitted security system can give you peace of mind when you are away from home and can act as an early warning system for break ins while you are home. *Fit CCTV cameras: If you have cameras installed at your home or business you have the peace of mind of having 24 hour surveillance which you can access from anywhere in the world. You also have the benefit of recording the thieves if they do attempt to access your home or business. We also provide and fit other security items such as alarmed padlocks or personal alarms, just ask us for more details. Andalucian Security can help you with any of the above and we are also available for advice at any time. Please email us or call Shaun 671305803.